As we enjoy these final days of 2014 I can't help but look back and think about what happened in our hobby, reflect on what we've talked about, and think about the kits and aftermarket that we most enjoyed. If you're a long-time reader of Scale Model Soup you may recall that the last two years I published a series of posts as I selected the best online build, best WIP, biggest surprise, kit of the year, etc. I find myself unable to do that for 2014 because our hobby and community are as vibrant as they've ever been, and selecting just one of anything is nearly impossible. Instead, I thought I'd share some general thoughts about what resonated with me this year. My best friend declared 2014 the "Year of the Decal," and I think he's right. Speed Hunter Graphics, the decal arm of Reid Air Publications, stepped up in late 2013 to fill the void left by Afterburner Decals and released several great decals for fans of modern aircraft. It's easy to believe that Jake has a backlog of many exciting sheets that we'll see next year. Furball Aero-Design has also become a powerhouse in this small niche. In 2014 they released three sets of decals for the new Kitty Hawk Cougars, four for the Hobbyboss and Trumpeter Intruders, and four for Vietnam-era Phantoms. Likewise Caracal Models has been more prolific than ever releasing 30 sheets in 2014 with more coming in 2015, including a set of B-1B markings and decals for the F-117 that include weapons bay art. Vagabond Decals gave us one of the coolest decal releases of the year for the new Wolfpack and Trumpeter T-38s; product 48-006 allows you to create literally any T-38 used by the USAF Thunderbirds. That's 73 options, my friends! 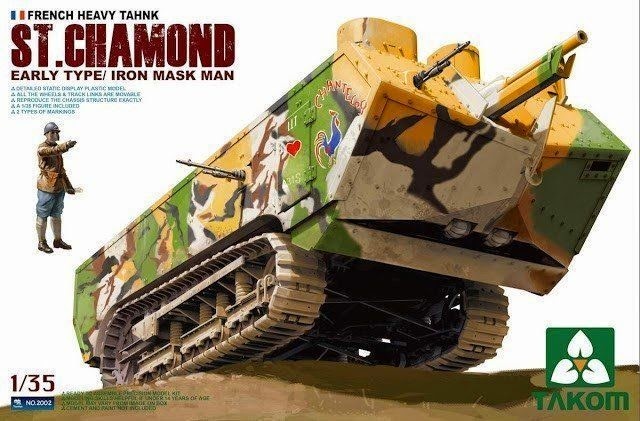 For armor modelers, Bison Decals released a ton of really interesting new decals under their new brand called Star Decals. 2014 was also about the power of conversation. There were disappointing releases (hyperbolic rivet counters would describe them as crap), which as you might expected generated a great deal of conversation online, around contest tables, and at club meetings. 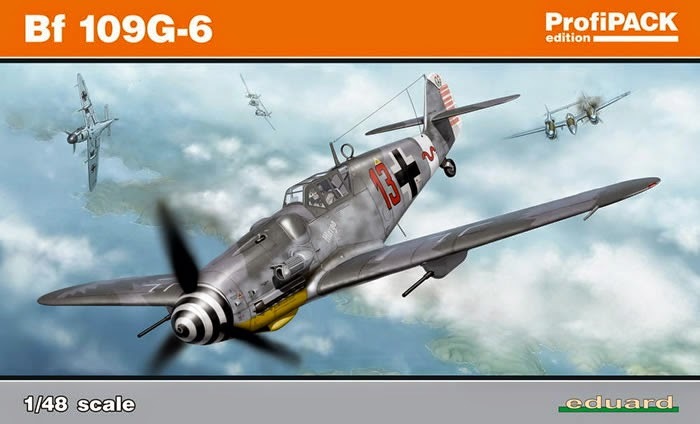 The conversation that dominated the year was the flap around Eduard's 1/48 Bf-109G. Despite the company's reputation for quality, they produced a kit that was slightly over-scale and featured a number of minor flaws that raised the ire of rivet counters around the world. Eduard, being a company of integrity, quickly announced they would re-tool the kit to address the errors. There was similar conversation about the Great Wall Hobby F-15, and they too stepped up to address most of the issues in subsequent releases. Within the armor community this 14-page discussion on Armorama highlighted modelers' frustration with Dragon's M103. Dragon responded to the feedback and slightly re-tooled the molds for their follow-on release of the kit under the Black Label series. Revell Germany had a great idea this year and set up a website where modelers could upload a photograph of a desired car and then opened the suggestions to customer vote. This gave Revell invaluable feedback on what modelers wanted and allowed modelers to (possibly) decide what the company’s next automotive models might be. Time will tell if this generates interesting models from Germany in 2015 or beyond. Are these a sign of manufacturers' willingness to respond to feedback from customers? Perhaps, but I don't think it's likely to be pervasive. For every re-tooling of one poorly researched kit there are several that go ignored. It seems that some manufacturers are content producing models that are accurate enough for the majority of modelers. That's not a bad think per se, as we're getting subject matter many of us only dreamed about 20 years ago, but if that's true we should reset our expectations to avoid the anxiety and resentment that follows every new model that fails to live up to our desires. I joked (half-joked, really) in this post about the harsh reality that most of us will die without having built all of the models in our respective stashes. The manufacturers are making it worse as they continue to give us dozens of new releases! In 2014 we finally saw the long-awaited 1/32 A-6 from Hobby Boss and were surprised by the release of their YF-23. 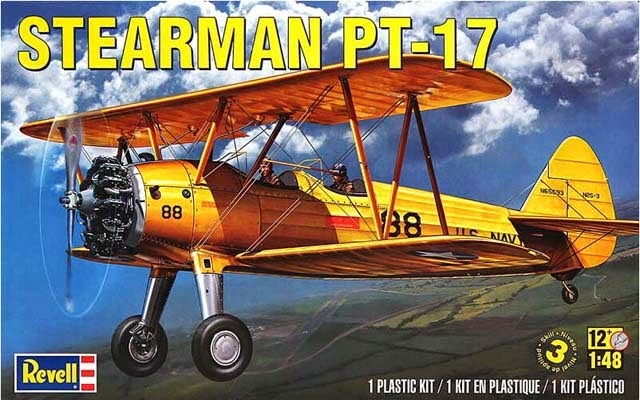 Revell released its 1/48 PT-17 Stearman, which some might argue is, dollar for dollar, the best kit of the year. MPM, Special Hobby, and AZ Models released a number of interesting 1/72 kits, including very nice models of the AH-1 Cobra, a subject which until now has been served only by Monogram's crude tooling from the 70s. We also finally got Academy's long-overdue KC-135s in 1/144. Armor modelers gobbled up a seemingly endless line of T-62, T-64, and T-80 variants from Trumpeter. Mirror Mirror Models and IBG Models have churned out extensive lines of softskin vehicles that have long been ignored. With the subject matter from World War Two slowly drying up (is it?) Takom and others jumped on board the Wayback Machine gave us World War One armor, and Meng released the FT-17. Who would have thought we'd have an injected-molded kit of the French heavy tank St.Chamond as well as male and female versions of the Mk. IV! 2014 was an interesting year for the racing enthusiast and modeler. It certainly seems the bigger the scale the more interest a model earned, with the boutique small production manufacturers tending toward 1/12th scale releases. Model Factory Hiro leads the way with quite a few new offerings. They released full detail kits of the Brabham BT46/46B Fan Car and the McLaren MP4/5B. 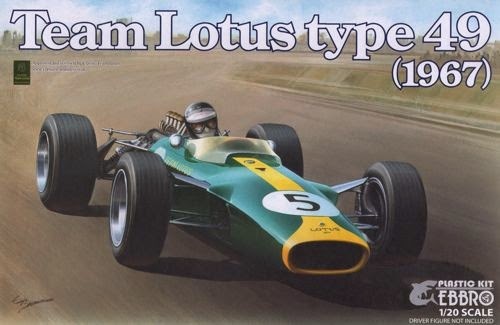 Ebbro had a fantastic year with some wonderful classic cars from the 60s and 70s added to their range, such as the Team Lotus Type 72C 1970, Team Lotus Type 72C Rob Walker, Team Lotus Type 72E 1973, Team Lotus Type 49 1967, Team Lotus Type 49B 1968, Tyrrell Type 003 Monaco 1971, and Tyrrell Type 002 1971 German GP (Cevert). Aoshima have been promising the McLaren MP4/2 for some time now and has created plenty of interest as this model has been available only as a multimedia kit, so for those who do not want to spend a lot of money, this injected release is quite exciting. The current trend from manufacturers has been “vintage” F1 kits, with F1 mainstays Tamiya and Fujimi producing no new models of contemporary cars. Maybe licensing fees on these older cars are lower, or maybe it’s simply easier to get details on them. Surely racing teams are reluctant to release details of their latest challengers; for example, the engine on the Tamiya Red Bull RB6 was basically a blob, so it was more of a kerbside build. Another possibility...we modelers are an aging group, so maybe our interests lie more towards the older generation cars. One of the best trends for the automotive modeler, as well as other areas of the hobby, has been the use of 3D printing. This has opened the doors to some very interesting products. They’re not cheap, but if you really want it and this is your only option….why not? 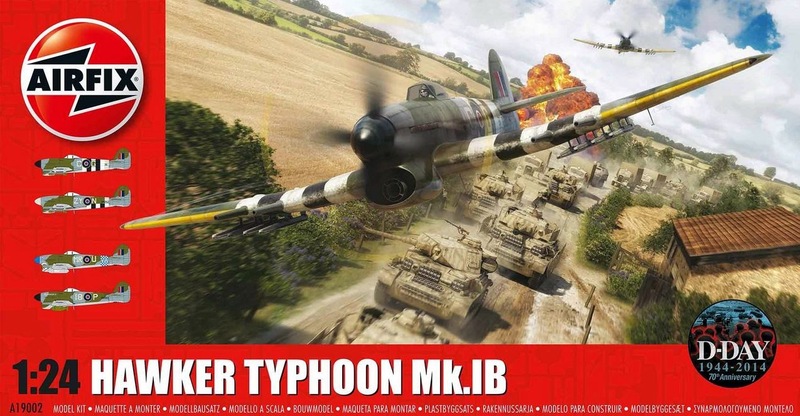 The most important release of 2014 in my opinion -- though not the best kit, mind you -- was the Airfix 1/24 Typhoon. Having seen it at the IPMS Nats, it's an outstanding model. The level of detail is mindblowing, with the kit building up almost like the actual aircraft. While there are other kits on the market with more detail, none can be had in the $110-125 pricepoint. Airfix is on a roll, providing affordability and value. Airfix won't be giving us another 1/24 scale kit next year, but we are sure to see a number of other models that are sure to fit any modeler's budget. I'd be remiss if I failed to mention the end-of-year surprise from Wingnut Wings, the 1/32 Felixstowe. I wrote earlier in the year about my fascination with seaplanes, so this model completely piqued my interest. I was willing to spend the $250 on the model knowing it will be arguably the best kit of 2014, but the reality of its size and complexity convinced me to forgo the purchase. It's a little too far outside my comfort zone, and frankly there are dozens of other models that I'm likely to find more compelling over the next 30 years. Nonetheless, I can't wait to see the Felixstowe on contest tables next year. If you've never attended an IPMS contest before, the possibility of seeing this kit in-the-flesh should draw you out of your basement! Even after my article about painting what you see, someone went onto one of the popular forums and asked, "What color red is right for the F-4 speedbrakes?" Another asked, "Can someone tell me what is the difference between regular white, Insignia White, and RML21?" Seriously guys, red is red and white is white. Don't over-think it. The year's best example of hyperbole comes from comments about the Hobby Boss F-80, which one rivet counter said failed to "remotely begin to represent the aircraft that it's advertised to represent." Really? Y'know, I've learned to love rivet counters, but comments like that turn my stomach. The year's biggest WTF moment comes to us in this bizarre video from Eduard to promote their outstanding 1/72 MiG-15bis. Well, that was 2014. Looking into next year, Trumpeter and Hobbyboss have previewed most of their 2015 catalog, and Airfix announced a number of their upcoming releases. As always, what most excites me the most is what we don't know about! My thanks to Shayne over at Motorsport Modeller for his input to the automotive commentary above. I don't participate in every part of the hobby, so his thoughts were crucial to providing a more comprehensive view of the hobby in 2014. If you have even a passing interest in motorsports, be sure to check out his blog. You'll notice I don't have any commentary on naval releases. If you're an avid ship modeler and would like to contribute to Scale Model Soup, drop me a line at scalemodelsoup@gmail.com. Great read Steve and an interesting insite into the year that was. Thank you for the opportunity to assist with the automotive part, it was a true pleasure. Lets hope 2015 is full of new and exciting models etc to keep us all busy. You'll definitely get a great deal on a new car if you will make your purchase at the end of the month. At that time, dealers of acura car models will be more open to striking a deal with you.